I should have expected it. The day was surely going to come. Having had years of crèche and school with regular notes about some child or another having head lice it was bound to be my turn some day. I think I did well to make it through almost 8 years of parenting but this week the lice arrived. My day has come. I have had a crash course in lice management over the past few days and thought I would share some of my newly acquired knowledge and insight as it may be something you need to deal with someday. Brace yourself though, you may be itchy by the end of this post! Head Lice or “nits” as they are sometimes referred to (after the name of the eggs) are a tiny parasitic insect that live on hair and feed off blood from the scalp. Sounds gross but they are very common, particularly in young kids. Head lice are highly contagious especially within large groups so places like schools, crèches and so on tend to be hot spots for them and the risk of catching them will be higher. How do I know if my child has them? One of the easiest ways to determine if your child has head lice is by checking their scalp. 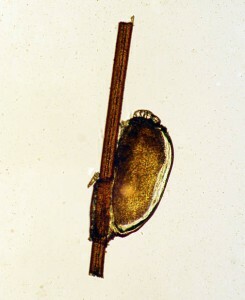 While the lice are small, and their eggs even smaller they are both visible to the naked eye. So if you can see them that is pretty much confirmation that your child has them! The eggs can look like a little speck of dandruff but stuck to the hair shaft and the actual lice are little dark crawly creatures. They are harder to spot on darker hair. Of course other indications that may make you carry out a scalp check include your child complaining of an itchy scalp as the lice biting can cause this itch and of course lots of scratching can cause irritation and redness of the scalp, another indication of possible head lice. If, like me, you do find yourself facing a case of head lice don’t panic, but do hang on to your hats (a clean hat!!) and dig deep. They are pesky little mites to shift. There are a number of over the counter medications that can be applied to the scalp to kill the lice. My first port of call when I discovered the lice had landed was to talk to my pharmacist. They sold me a bottle of Lyclear. 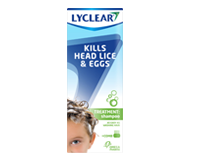 An over the counter product to kill lice and eggs. It involves putting the solution into the hair/scalp and leaving for 10 minutes, then adding water and creating a lather and washing as normal. Once washed there is a fine tooth comb to comb out any lice and nits. A careful operation is required to ensure all possible are removed. A follow-up treatment is needed 7 days later. It is important to follow instructions carefully and ensure treatment is completed to ensure their elimination. If you prefer to avoid any medicated products investing in a fine tooth comb is an essential. Using plenty of conditioner and wet combing hair can be an effective and simple way to remove lice. Like most treatments it takes time and patience. A more modern technique is the electronic comb. My husband got one a few years ago as a sample from a supplier (I think around the time of our first note from crèche about lice) and it has hidden in a drawer ever since as we never required it. I have taken it out now and using it in conjunction with the Lyclear. I have read mixed reports about the electronic combs but at this point I’ll give anything a go. 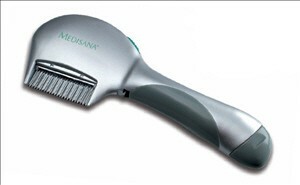 The one we have is a Medisana Electrical Fine Tooth Comb. Finally, going back to natural products such as coconut oil and vinegar are key products when faced with lice. A treatment recommended to me by friend and fellow blogger Dr Hows Science Wows (recommended to her by another fellow blogger – aren’t bloggers great!) was from this site. I also bought a tea tree oil spray which is supposed to act like a repellant. If all else fails I have just discovered that there is actually a clinic where you can go to have them removed! 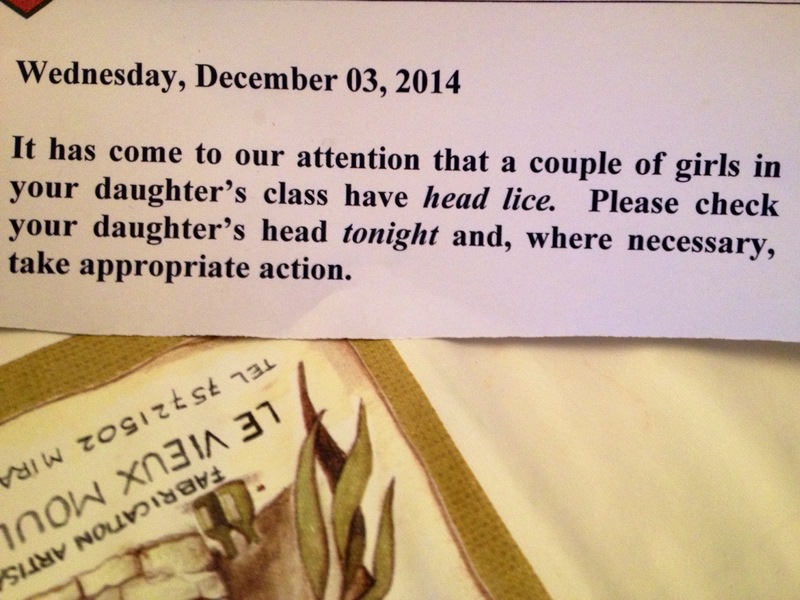 Kids and nits! Never been, hopefully never have to but from their site they seem to use impressive vacuum style equipment. I think the conclusion I have come to is that the battle needs to be won from a number of fronts – and I’m picking as many as possible! As if washing is not a massive chore with a family then prepare to bring it up a notch. If there is a case of head lice in your house it is best to wash all bedding, towels and anything that has been in recent contact with the infected head to be washed. That could be anything from hats, scarves, coats, cushions and so on. Your washing machine will be flat-out for days. This week I have so far stripped beds, washed towels, washed coats, hats, scarves. Cushions and ear muffs are sitting waiting to be done next. There is no need to go too mad though. A lice can only survive a day or two off a head so the real focus needs to be on the hair and scalp. Inform your school / crèche or anyone who has been in close contact with the infected person. It is only fair. One of my daughters clearly caught them from someone – either a child in my youngest’s crèche or another girl in my daughters class – and then passed it to the other at home – but nothing had circulated. I immediately informed the school and crèche when I made the discovery. The next day a note came home from school. Of course it is embarrassing having to do it, but for me the guilt of not telling would get the better of me. At the end of the day it is nothing to be ashamed of. Most parents will be thankful they can keep an eye and others sympathetic as they have been there before. 1. Many believe that lice transfer by jumping or flying. They don’t. They cannot fly (they are wingless) or jump. They pass primarily from head to head contact and also from sharing items like hair brushes and hats. 2. It is a sign of poor hygiene. Not true. In fact, it is said that head lice prefer clean hair. If that is any consolation! 3. It is not only kids get them. Poor parents who are faced with them often end up infested themselves. Anyone with hair can get them! A really interesting read is 10 Things you didn’t know about head lice. Avoid sharing brushes, combs etc. To be honest I don’t think ours is a bad case. I literally found a handful of live lice and some eggs (the nits). That said, mild case or bad case I was not happy. I know what a pest they can be so was not looking forward to trying to eradicate them. We have another few days of scalp watch ahead, some oil and vinegar to try to another dose of Lyclear on Monday. There will probably another 5 million washes but we will get there. Like a dose of chicken pox, being late for your child, a scrape or a bump on the head I guess I will notch it up as another rite of passage of parenthood. Another lesson in motherhood for Learner Mama. Thanks! Keep those fingers crossed!! Great post, really thorough… fingers crossed that you have won this battle and the kids don’t get reinfected! We got to know head lice far too well over the last year unfortunately but thankfully we have been clear a while now. Oh we had these visitors too a few years ago. I felt terrible as my fella was riddled! Poor lamb. I got the Once treatment which is a leave in- and wash, gel and it worked great combined with the comb. I also blitzed everyone – big and small, And all the laundry in the same night. Now I’m itchy just remembering …. Thanks! I am feeling positive that we are winning. Nice to have them out of the way for Christmas! Had to get a little festive with the snow…and sure it might be coming for real! !